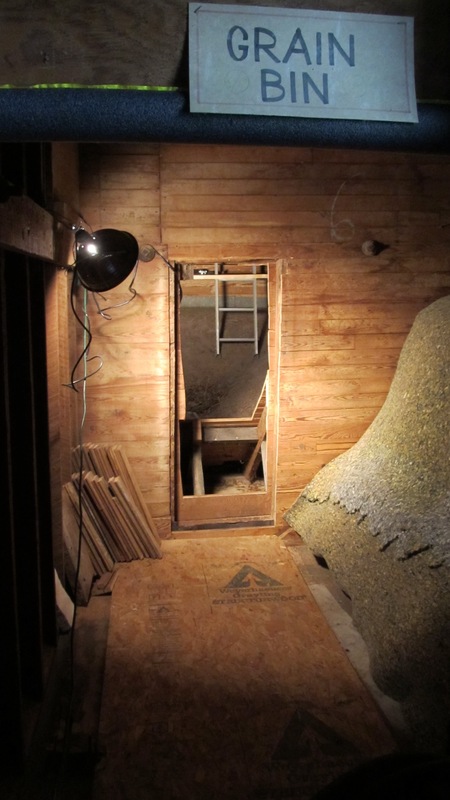 The first picture shows the studio in a grain bin room before the studio was installed. And beyond that grain bin was another room which we cut into. 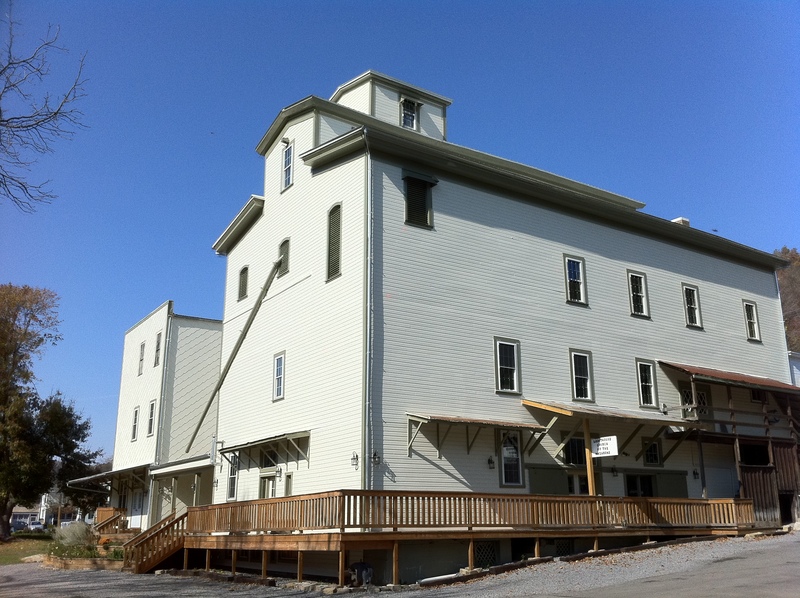 Since this bin was in the SW corner of the building we installed a window behind one of the louvers in the Mill facade. The window was the one closest to the bunkhouse at the third floor level. David is shown cutting out the reinforcing rods that held the bins together. 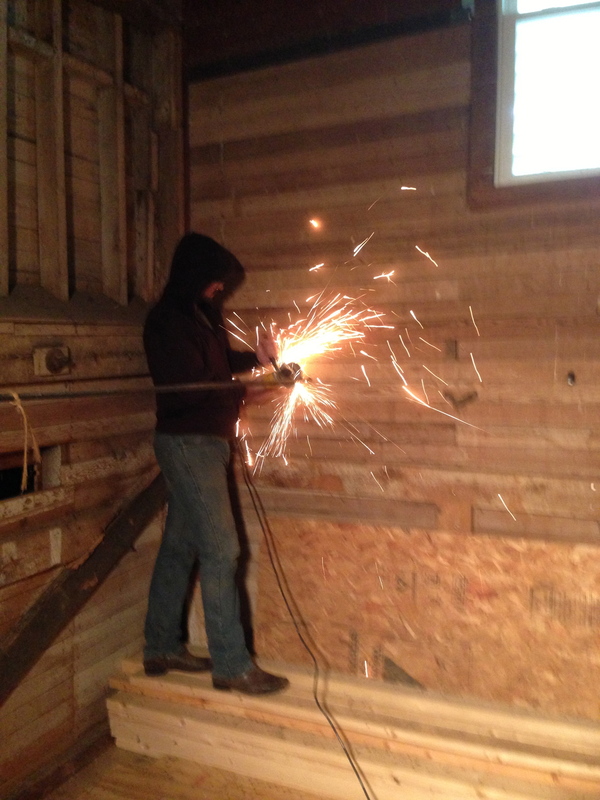 Then we started installing a second floor in the grain bin. This is one of our unfinished projects. Man, I wish we’d finished that room.